Rapper Siya says she always seeks to represent her Brooklyn roots in her music and reality show "Sisterhood of Hip Hop." BEDFORD-STUYVESANT — She’s known as the “Bed-Stuy Bully,” but rapper Siya is all about spreading a positive message. The Brooklyn emcee returns to the small screen for the upcoming second season of the reality series “Sisterhood of Hip Hop,” hoping to change the game for women in the music industry. The Oxygen show follows five female rappers on their journeys towards fame. 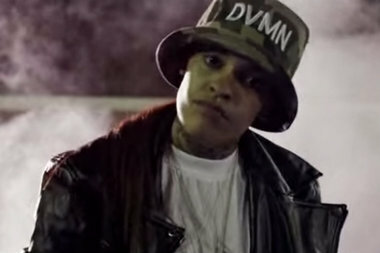 Siya, born Michele Sherman, identifies herself as “the first openly gay female in the industry” and aims to break barriers in mainstream hip-hop. “I’m very open about my sexuality. I make it clear because I’m not ashamed, nor am I afraid of what other people might say or think,” the 28-year-old said. “For me to not conform to how they want us to be, act or look, I think I do a great job being an idol for little girls." Women don't need to strip down to succeed in the music business, she added, which is why you won't find her wearing skimpy outfits in any of her videos. “I want to show them it’s OK to do something better than a man and not have to take your clothes off. I think that’s a very powerful statement," she said. "If your music is dope, it'll speak for itself." While advocating for better representation for women in music, Siya represents more than her sexuality, she said. Her lyrics and flow come first, and her list of collaborators and mentors include R&B singers Tank, T.I. and Chris Brown. The artist grew up in Bed-Stuy's Roosevelt Houses, turning to rap at the age of 7 to escape the challenges of a drug-addicted mother and an absent father. Days were spent on neighborhood corners, which eventually brought Siya her share of run-ins with the law, she said. “I grew up very closely with other people from my 'hood and we were knuckleheads as far as hustling and getting into trouble. I was one of the few females hanging with a bunch of dudes,” she said. Among her tattoos are “Brooklyn” inked on the back of her hand and “Bed-Stuy” emblazoned across her forearm. In between filming and recording on the West Coast, Siya returns often to visit her family. 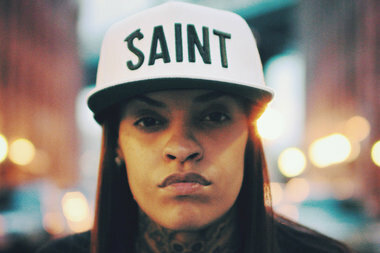 Siya released a mixtape on Jan. 21 and her first album, titled “S.T.I.L.L.,” is set to debut in the coming months. In the meantime, she hopes to wrap up filming for “Sisterhood of Hip Hop” and continue building her fan base. "You don't even know the monumental impact you are making on the gay community but, most importantly, on all women in general," one admirer commented on the rapper’s Instagram. “I never want my fans to feel like they can’t touch me,” Siya said of her supporters.